It’s here! 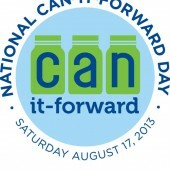 National Can It Forward Day! I’m excited to be partnering with Ball to help spread the word about canning. Some of my friends are coming over later to can with me in my kitchen. 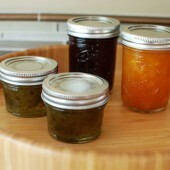 I’ll be posting recipes next week for the jams/jelly that we’re making. For anyone who wants to participate in National Can It Forward Day, you can watch the live webcast on www.freshpreserving.com. 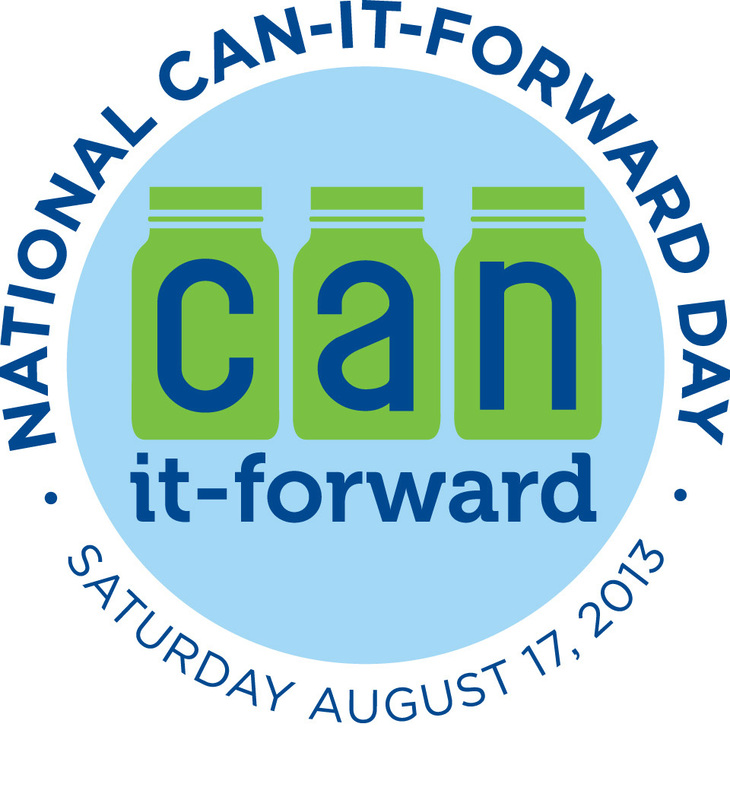 You can also participate via Twitter using the hashtag #canitforward and following @BallCanning! I’m a novice with canning but about two or so years ago had purchased the canner and supplies, went to an informational session at a local food show, and then never actually did it. Like you, I found it kind of intimidating and never really had the kind of time in the day that they stress is needed in order to closely watch your jars as they process. I hate the idea of messing it up and feeling like I not only failed it, but also wasted any food or supplies! So I just never did it, but maybe it’s time to give it a try! I used to can tomatoes from our garden and applesauce from apples that we picked at a local farm. That was in the late 70’s and early 80’s. We bought a chest freezer in 1983 and since then we have frozen our garden produce. After being without electricity as a result of hurricane Irene and Super Storm Sandy, I learned a valuable lesson about preserving food. I will back to canning my tomatoes this year. Thanks for partnering with Ball for the great giveaway. I’m following Ball on pinterest as KatieQ. I liked Ball on FB and left a comment. I’m pretty much a canning beginner. I have a fear of not doing it right, then being disappointed when I open the jar months later to find that the contents have spoiled. But, I am determined to give canning a try, especially to preserve all of the tomatoes that I am hoping my garden will give me by the end of the season. I have never canned before but always wanted to try. My mom always made awesome jellies that were so good. I love to can, but I don’t do it enough. My favorite canning project is probably lemonade concentrate. I have had success canning pepper jelly and pickling jalapeno peppers. I would love to branch out and try making/canning tomato sauce. Oh my goodness! I love canning…I made pickles yesterday and this weekend I’m hoping to can some jam. There’s nothing quite like hearing the satisfying little “pop!” of a jar sealing. i haven’t ever canned before but i am realizing i should probably conquer my fear of it, as well. my tomatoes are slow to ripen this year and i am pretty sure i am going to get hit with hundreds of them at the same time. there are far worse things that could happen to a gal but i sure would hate for them to go to waste! Want to invite me lol? J/K but I too have a fear of canning, which is really silly when you consider that my mom and sister are both dedicated canners. I will be watching with interest! Congratulations Laura! You’ve won the giveaway package from Ball. Please email your mailing address to me at jen@beantownbaker.com so we can get the package sent out as soon as possible. I would love to learn canning, but like you I feel it is a bit intimidating! I liked Ball’s page on Facebook. I followed Ball on Pinterest. I love to can peaches and apricots. Nothing better in the wintertime! I just started canning this year for the first time. We’ve already made slasa, watermelon jelly and strawberry jam. 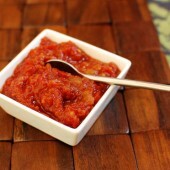 I can’t wait to do crushed tomatoes later this year as well as applesauce and apple butter! I was intimidated also, but just jumped right in. I like Ball’s Facebook page. I liked Ball’s Facebook Page!! I”m following Ball on Pinterest! !